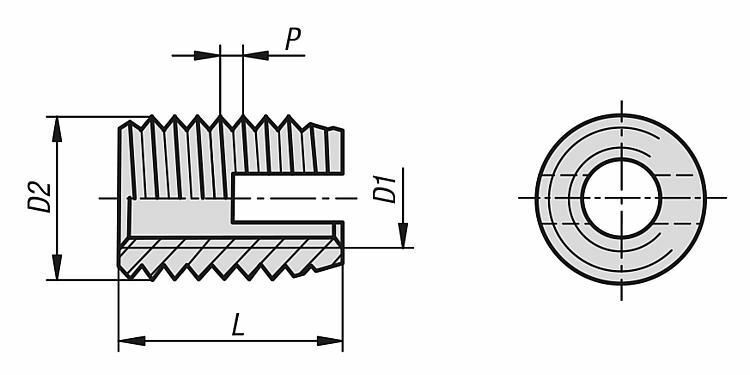 Self-tapping threaded inserts for making high-strength, wear-free, vibration resistant screw connections in materials with low shear strength such as aluminium and aluminium alloys, brass, bronze, cast iron, duro and thermoplastics. The threaded inserts are tapered at the bottom and have a cutting slot. By screwing in they cut their own threads inside a receiver hole. This guarantees a completely secure and firm anchoring in the host material. Internal thread D1 acc. to ISO 6H. 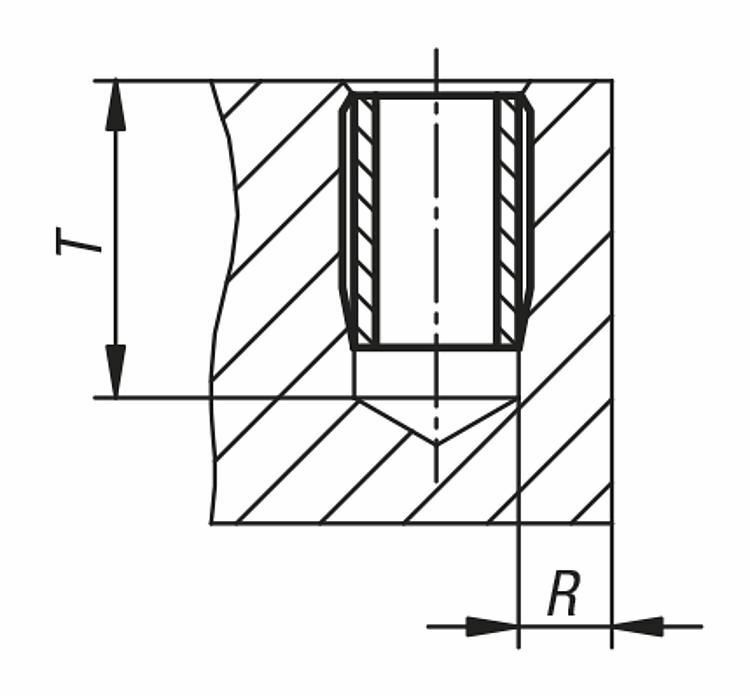 The threaded inserts with cutting slot spring slightly inwards in the slot region in some materials. This results in a screw locking effect. 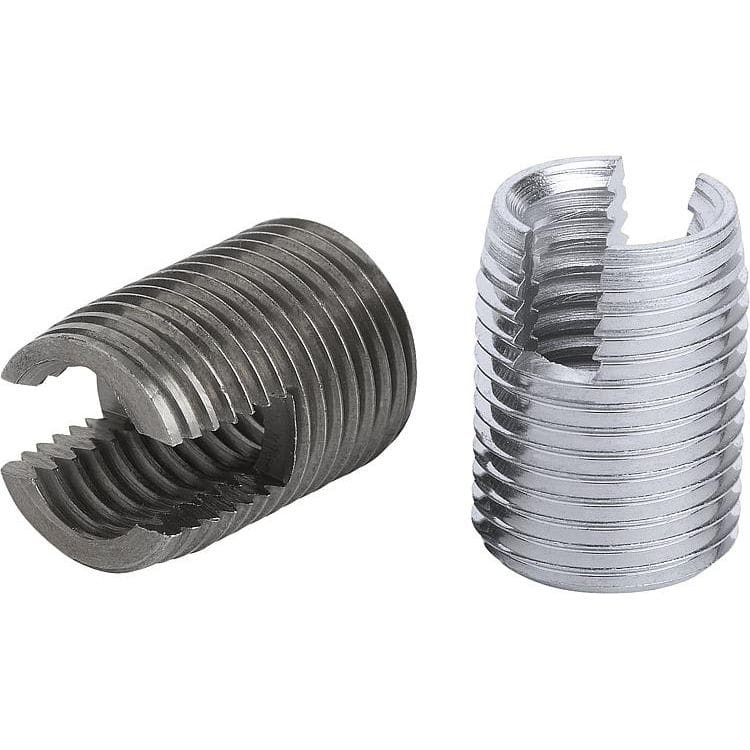 If this is not desired, we recommend the threaded inserts with a cutting bore.